We would like to congratulate Eric Lorenzen, Information Technology Manager, on his 20th anniversary with Vierbicher. Eric started working for Vierbicher on September 14, 1998. Eric has provided us with invaluable expertise during his many years of dedication and service. During times of internet and power outages, flooding, or when updating our servers, networks, printers, software and computers, we can always rely on Eric to put in the time necessary to research, provide the most up to date and reliable solutions for our team, and to keep our operations running. As with most small companies, Eric helps out in other areas of the firm including Quality Management and CADD Management. Eric is willing to do whatever task needs to be done. Eric began his IT Career as a Senior Technology Advisor in 1990. Eric is now our Information Technology Manager and has provided us with IT expertise during his many years of service. 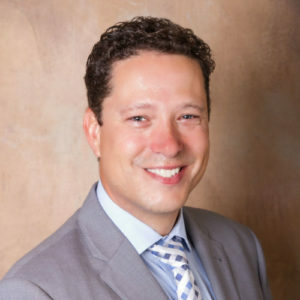 He is responsible for the management and maintenance of our in-house computer network and unified communications systems for our 4 office locations. Eric’s project experience includes: needs assessments, technical support, hardware & software training, Active Directory design and maintenance, local area network (LAN) and wide area network (WAN) design and hardware and software installations. Please join us in congratulating Eric for 20 years.